Dante Cicuttini never forgot where he came from. He lived a typical migrant experience: never quite settled, always yearning for his home country, and even potting more than 700 red geraniums on his Victorian property to remind him of Italy. Dante and his wife Elsa grew up in villages in northern Italy two kilometres apart, but it was not until they had separately traversed several oceans to Australia in the 1950s that they met. Like many migrants leaving Europe, which was enduring mass unemployment in the aftermath of World War II, Dante and Elsa arrived with nothing more than a suitcase, the clothes on their backs and trepidation about the arid land that lay before them. It would have been hard for them to believe that 60 years later their story would be honoured at one of the world’s leading universities. Dante’s first home in Australia was the migrant camp Bonegilla, in northern Victoria, where 300,000 mostly non-English-speaking migrants were housed, trained and fed infamously inedible mutton. The couple eventually bought a plot of land in Carrum Downs and started a poultry farm. Despite having only a primary school education, Dante could build and fix just about anything. He was a born problem-solver, with all the makings of an engineer, had he been given the opportunity. Elsa took to Australia with gusto. She was a woman ahead of her time, finishing secondary school, becoming a teacher and putting their three daughters and son through university. She taught her children that education was the one thing that nobody could take from them. Three of their children went through Monash, as well as their four grandchildren, cementing the family’s connection with the University. 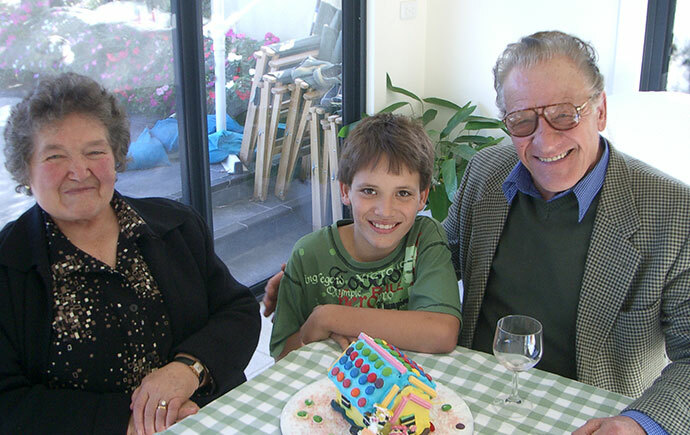 To honour Elsa’s appreciation of education and Dante’s unfulfilled potential as an engineer, their daughter Flavia and son-in-law Kit (both Monash alumni) established the Elsa and Dante Cicuttini Scholarship, which provides financial assistance to engineering students from a low socioeconomic background. "The scholarship gives us the chance to share the advantage that Monash has bestowed on us. It’s nice to be able to give in a way that recognises Mum and Dad and reminds us of them. It honours the opportunity that Australia gave them." In 2018, aspiring engineer Than Lwin Aung commenced his studies at Monash University as the Elsa and Dante Cicuttini Scholar. The son of migrants from Myanmar, then joins the University as one of many students whose access to a Monash education has been made possible by philanthropic donations.